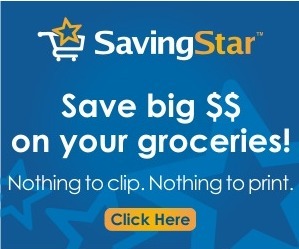 Save on your groceries with SavingStar! SavingStar is a new eCoupon service that's totally paperless - so there's nothing to clip or print. Get over 30 eCoupons worth over $50! Buy two (2) Campbell's® Slow Kettle® Style soups, Save $1.00. Buy any two (2) V8 V-Fusion® Juice 46 oz. Bottles, Save $1.00. Buy ANY ONE (1) variety of Boursin Cheese, Save $1.00. Buy 10 Rice-A-Roni or Pasta Roni, Save $3.00 (does not include Family Size, Value Size, or Easy Salad). Buy 1 Lowes Foods Grape Juice, Save 75¢. Buy 1 Lowes Foods Dry Roasted Nuts 16 oz., Save $1.00. Buy 1 Lowes Foods Chips 11 oz, Save 50¢. Buy 1 Lowes Foods Sandwich Sliced Pickles 16 oz., Save 50¢. Buy 1 Lowes Foods Mayo 30 oz., Save $1.00. Buy 1 Lowes Foods Cooking Oil 48 oz., Save $1.00. Buy 1 Lowes Foods Creme Cookies 24 oz., Save 50¢. Buy 1 FreshSmart Coffee (12 oz. 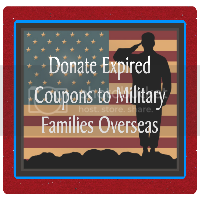 ), Save $2.00. Buy 1 Pizzazz 12 pk. Soda, Save $1.00. Buy 1 Pizzazz 6 pk Soda, Save 50¢. Buy 1 Karo® Syrup, Save 40¢. Buy 1 Fleischmann's® Yeast (Jar or Strip), Save 40¢. Buy THREE (3) boxes of Ellio's® Pizza, Save $1.00. Buy 1 YoBaby Organic Yogurt 4-pack, Save 50¢. Buy three (3) 6 oz. cups of Stonyfield Organic Yogurt, Save 50¢. Buy 1 Colgate® Sensitive Pro ReliefTM Toothpaste (2.7 oz or larger), Save $1.00. Buy 1 Irish Spring® Deodorant and/or Anti-Perspirant (excludes trial size), Save $1.00. 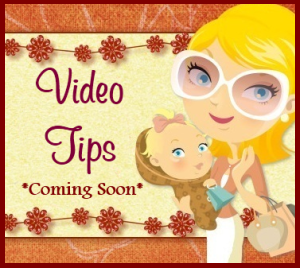 Buy 2 jars of Peter Pan® Peanut Butter, Save $1.00. Buy 2 Egg Beaters®, Save $1.00. Buy 2 Marie Callender's® Fresh Flavors Steamers®, Save $1.00. Buy 1 Gulden's® Spicy Brown Mustard (12 oz size), Save 35¢. Buy three (3) cans or bowls of Campbell's® ChunkyTM soup, Save 50¢. Buy 1 Argo® or Kingsford's® product, Save 40¢. Buy 1 My Essentials Granulated Sugar (5 Lb. bag), Save $2.00. Buy 2 Johnsonville Breakfast Sausage (9 oz or 12 oz), Save $1.00. Buy any ONE (1) JOLLY TIME Microwave Pop Corn Product, Save 50¢. Buy 2 Keebler® and/or Sunshine® Crackers (8 oz. or Larger, Any Flavor, Mix or Match), Save $1.00. Buy 1 Eucerin Body Lotion (2oz-16.9oz), Save $1.00.